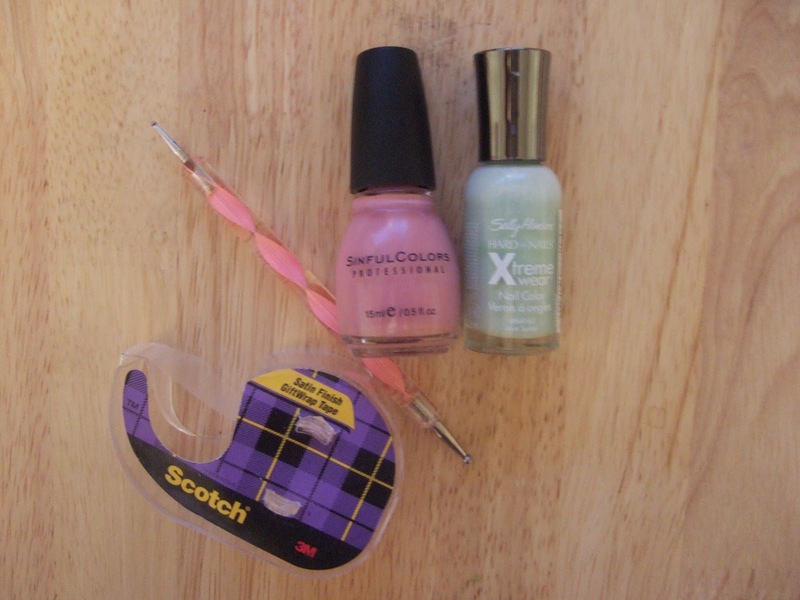 1) What you will need: Dotting tool, tape, 2 solid colours – I used Sinful Colors “Vacation Time”, and Sally Hansen Xtreme Wear “Mint Sorbet”. 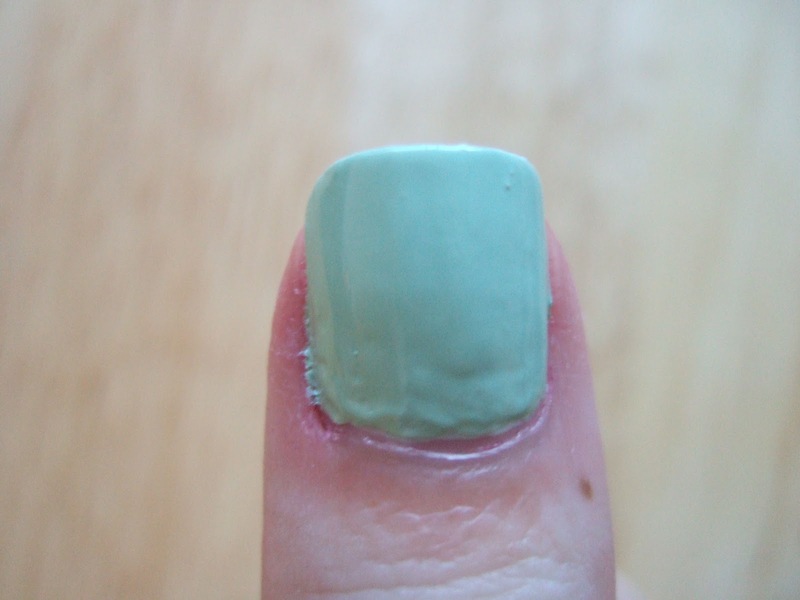 2) Paint the lighter colour to make a solid base. 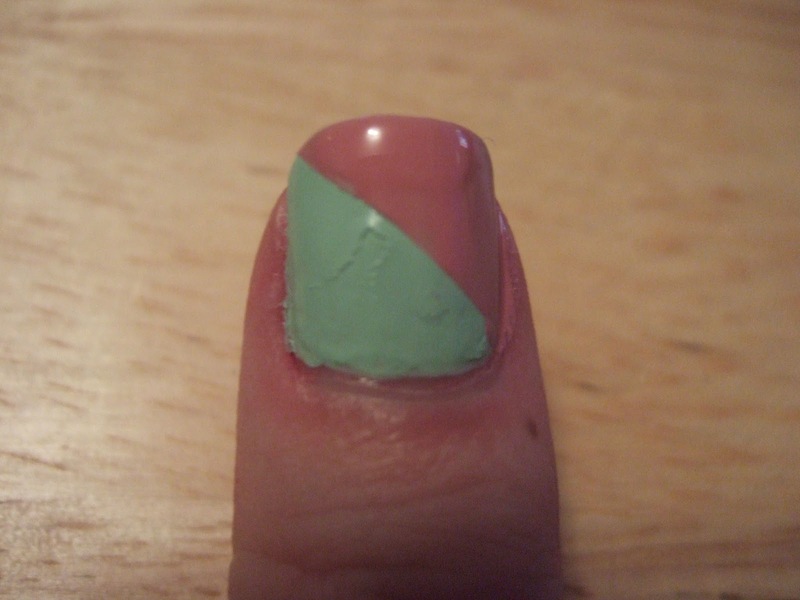 3) Once completely dry, place a piece of tape diagonally across the nail, covering the side with the cuticle. 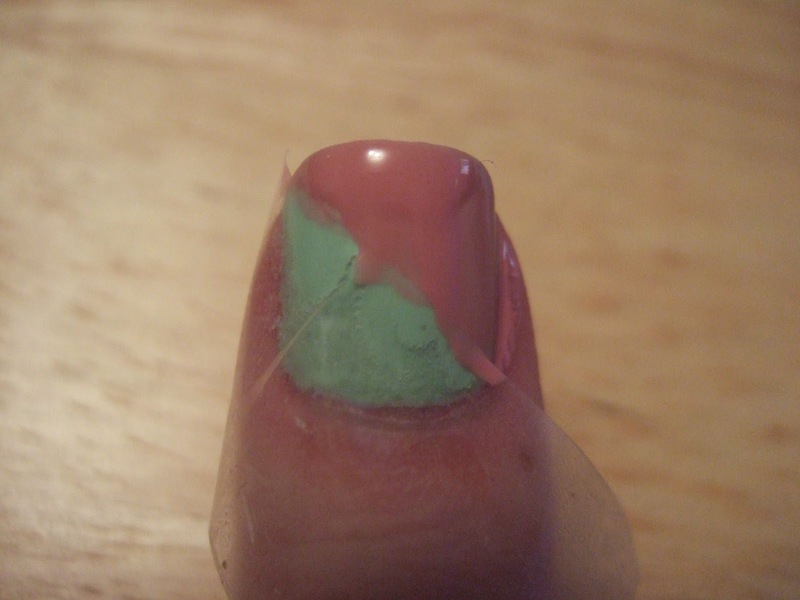 4) Paint the second colour over the revealed part of the nail. 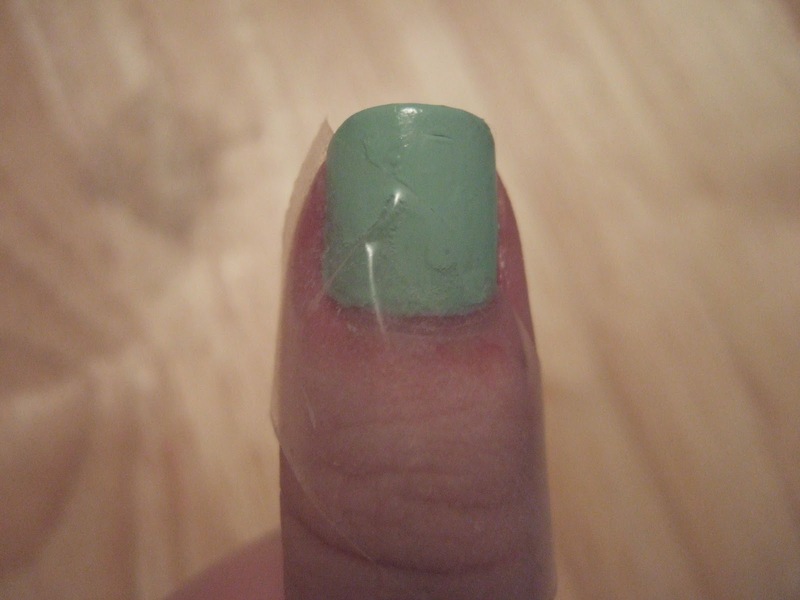 5) Remove tape promptly, to reveal a clean line. 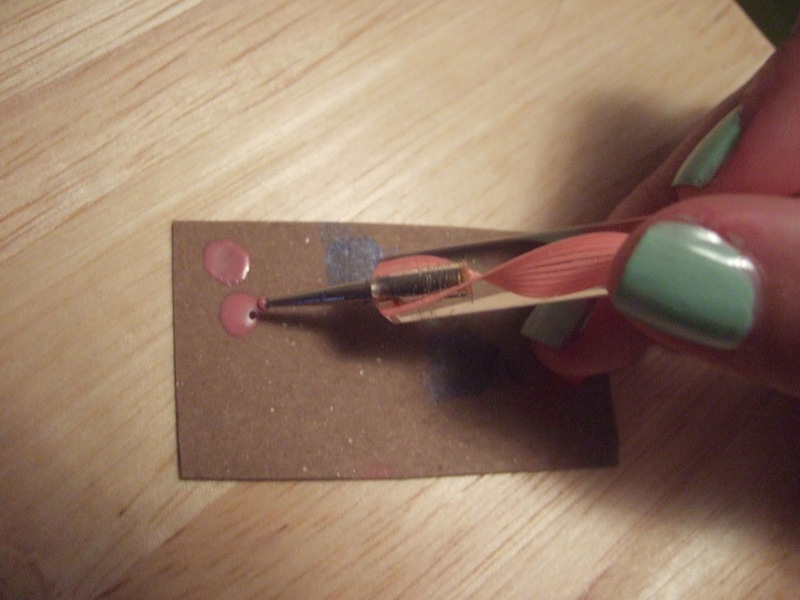 6) Using a piece of cardboard, place a drop of your second colour, and dip the small end of your dotting tool in it. 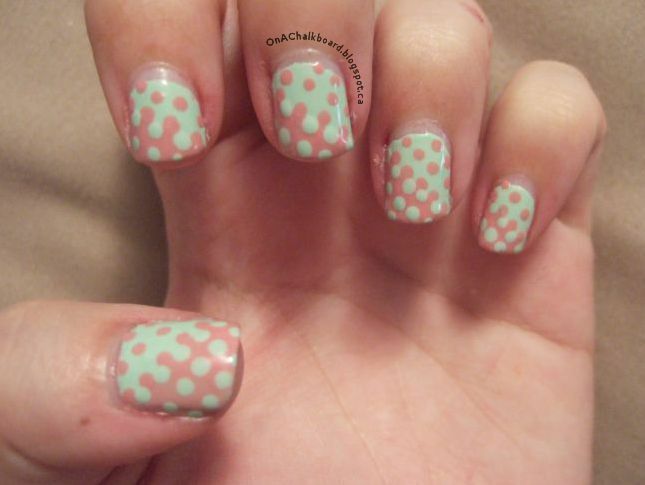 7) Create multiple, equally spaced, dots on the side with the first colour, still slightly connecting it to the second colour. 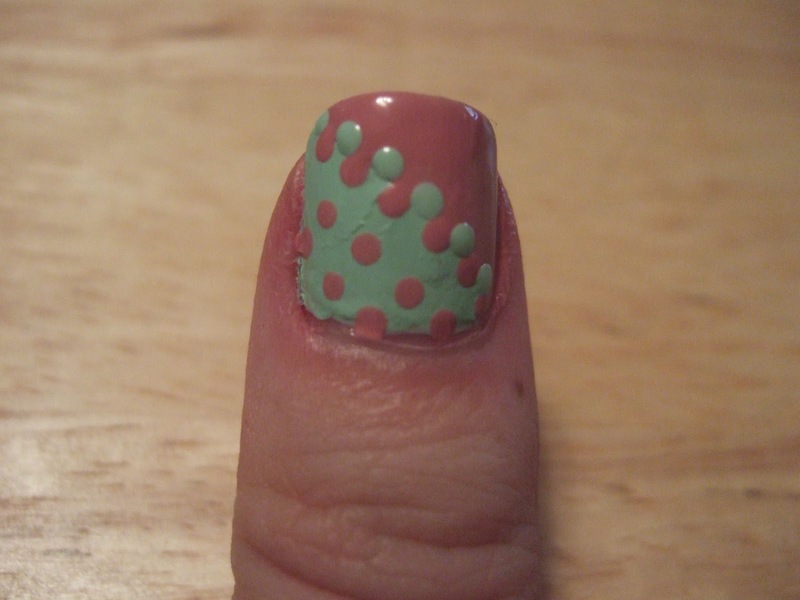 8) Create dots on the first colour (green), as if the dots on the line have left a trail. 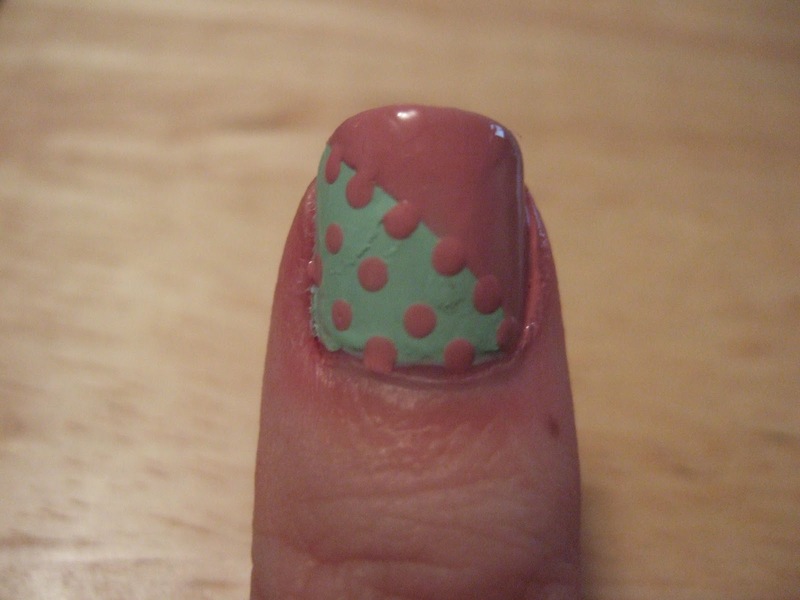 9) Repeat step 7, with the first colour, on the opposite side. 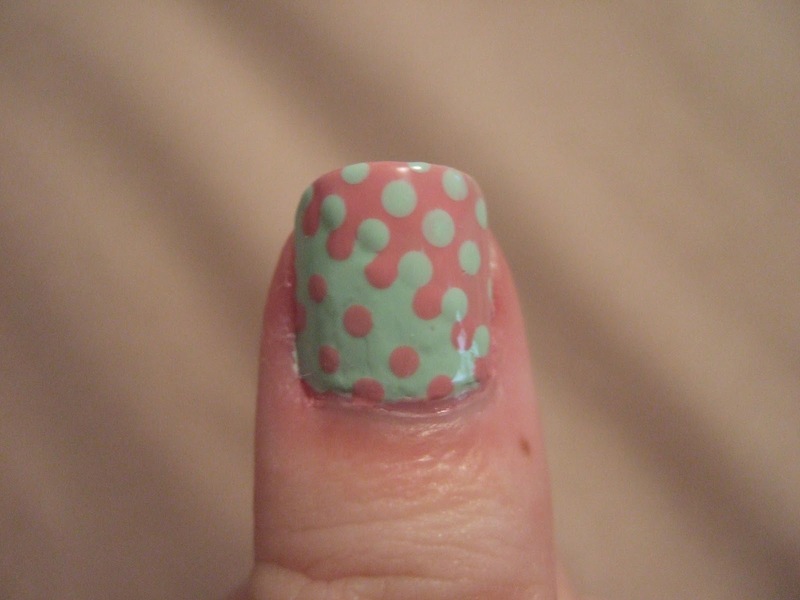 10) Repeat step 8, with the first colour, on the opposite side. Smooth out with a clear topcoat. 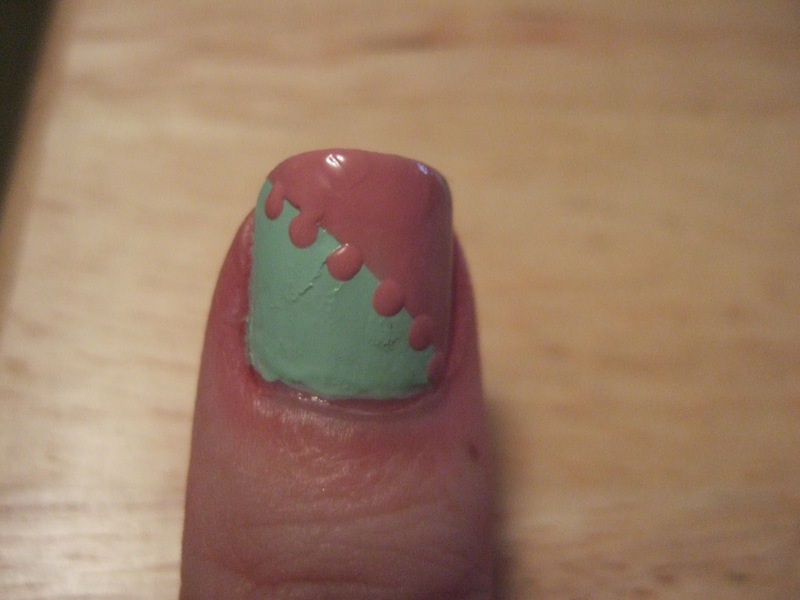 I just finished this same manicure. Very neat idea. Looks great.